We are so thrilled OM home's kantha quilts are featured in the January issue of Chatelaine! One of a kind, each blanket is unique. OM home has partnered with the Baljit and Bahené collective in Tilijala, Kolkata to recreate the traditional kantha quilt. 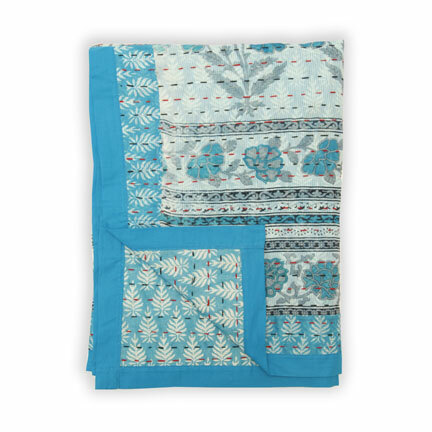 Our quilts are made with layers of new sari fabric that softens and becomes more rippled and comfortable after each wash. If you look closely, you’ll see the collective’s initials are embroidered on each quilt. 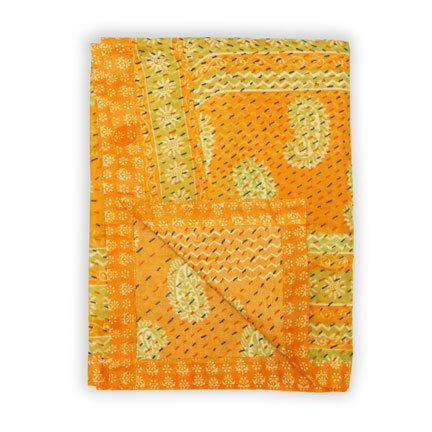 OM home's partnership with Baljit and Bahené was formed in collaboration with longtime family friend, Shamita Das Dasgupta, a prominent leader combating violence against women of South Asian descent. Dasgupta works with the collective, provides necessary supplies, and pays them directly for their work. Baljit and her collective are currently in production. If you are interested in twin, full/queen, or king size quilts please email us at orders[at]omhome[dot]com, and we will advise when larger sizes are available. 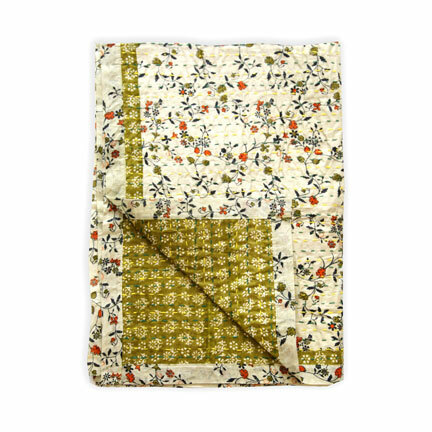 Kantha baby quilts are currently available at www.omhome.com. Pajamarama! Buy 2 get 3rd Free! Do you still have kids on your holiday shopping list? 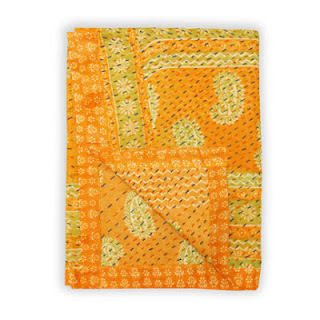 OM home's popular 2pc PJ is on sale! 2 days only. Buy 2 and get the 3rd Free! Free shipping. *Sale ends December 13 at midnight PST. This year, there's a new OM baby here, my son Rohan! He is my muse, my inspiration, my little dude, my snuggle monster, my happy muscle man. He also has a lot of hand me downs from big sister, Avnee and big cousins, Neelan and Nevan. Thanks to Caroline, Atousa, Bridget, Daphne, Sharon, Zeynep, and their little cuties. How cool is this?! National Post includes OM home's bundler on their list of favourite Canadian-made clothes for the newest little royal. See it here. "In case you just woke up (or are living under a rock), it is our pleasure to inform you that Kate Middleton, the Duchess of Cambridge, is officially pregnant with her first child! Exciting stuff, but as every new mother can tell you, pregnancy comes with trials, tribulations – and a shopping list. 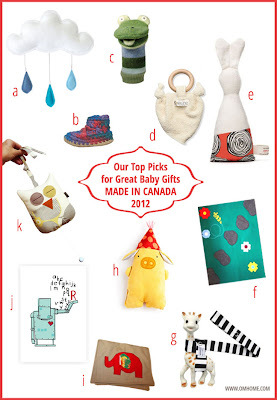 Below, we offer the Duchess a few of our favourite Canadian-made clothes..." National Post, December 3, 2012. "Soft, unisex and environmentally conscious, the OM cotton romper is a must-have. It’s versatile, too, with a drawstring around baby’s feet that easily converts it from movement-friendly romper to snug sleeper." National Post, December 3, 2012. Get it today for your own little prince or princess for 25% off. One day sale! Code: DUCHESS25.